The warm sun and shopping mall Christmas decorations were not what drew Supreme People’s Court (SPC) President Zhou Qiang and a large group of senior court and other government leaders to Shenzhen on Christmas Day–it was a rare national bankruptcy trial work conference. It sends signals about the importance of bankruptcy post 19th Party Congress. some informed comments on where the challenges are (with some of my further comments in italics). The Chinese courts accepted 8984 bankruptcy & compulsory liquidation cases in 2017 (through 21 December), heard by 97 bankruptcy divisions (up from 6 in 2016, a consequence of a 2016 SPC notice, described here). The courts concluded 4404 bankruptcy cases through November. Reforms aimed at speeding up cases moving from enforcement to bankruptcy proceedings are showing some initial success, with the Guangdong courts handling over 43,000 in the second half of 2017, of which 10,000 were handled by the Shenzhen courts. President Zhou Qiang conveyed the macro policy on bankruptcy. use informatization to improve the hearing of bankruptcy cases (信息化建设提高破产审判质效). Du Wanhua had more specific signals to the lower courts. handle carefully the consolidated bankruptcy of affiliated companies, balance the conflicts between the rights and interests of each party. improve cross-border bankruptcy trial work. If a real estate developer is having a crisis, government will involve itself first, and only if administrative measures don’t work, will they think of judicial measures. This creates problems in transitioning from administrative to judicial procedures. For example, how should a court treat the legal authority of the creditor settlement arrangement of the special work team formed by government to deal the crisis? Once the company goes into bankruptcy procedures, government hasn’t withdrawn completely, and on the one hand, all sorts of bankruptcy matters require coordination and cooperation by many government departments, and on the other hand government will give instructions and suggestions about bankruptcy work, considering the needs of the local economy, stability, and other interests. 3. Many local courts are afraid to accept bankruptcy cases and even establish unreasonable barriers to for local protection–new systems need to be put in place. 5. Professor Li asks how Chinese bankruptcy law can be reformed to effectively rescue companies, to enable courts to identify salvageable companies, properly protect the rights of creditors and shareholders. More detailed rules are needed on preferences in bankruptcy. These are ongoing issues for Chinese bankruptcy courts, as the current system protects local government interests. 6. There exist a group of specific issues related to bankruptcy liquidation, such as how to expand the pool of assets available to the creditors, balance the interests of various creditors, deal with the relationship between creditor committees (under the bankruptcy law) and financial institution creditors committee (these committees were put in place from 2016, see more details here). This also relates to issues of transparency and procedure, particularly what information will be available to members of the creditor committee, and at what point. An important area where legal infrastructure is lacking, as discussed in this Wechat article. Among those issues is how to protect the interests of consumers who have purchased property from a bankrupt real estate developer. This is an important practical issue for all involved (including local governments) because an increasing number of real estate developers are going into bankruptcy. A recent Wechat article analyzes a 2015 SPC ruling that requires the bankruptcy administrator to perform the purchase and sale contract where payment has been made in full. In practice, courts take different approaches to variations on this scenario. 7. He echoes Du Wanhua on issues related to consolidation of bankruptcy cases involving corporate affiliates and the transfer of cases from enforcement to bankruptcy, raising the problem of the courts performance indicators. 9. He raises the increasingly prominent issue of cross-border bankruptcy, in which judges lack legislation and experience to deal with these issues, and suggests that at an appropriate time harmonization of Chinese cross-border bankruptcy standards with international ones. By this, he is likely referring to the UNCITRAL model law on cross-border insolvency. These issues are ongoing ones for the professional community in Hong Kong and increasingly in the rest of the world, see this law firm alert. This has been a frequent topic of academic analysis. Finally, this area of law is a microcosm of issues facing the Chinese courts, whether it is the requirement for the SPC and lower courts to reflect current Party/government policy in what they do, relationship between the courts and government, issues with judicial professionalism, large number of technical issues but a lack of legislation, related issues that affect the ordinary person, consideration of foreign law models, and the disconnect between international and Chinese practice. The Supreme People’s Court (SPC) issued 2016 data on bankruptcy cases on 24 February: 5665 cases were accepted by the Chinese courts while 3602 were closed. This is up substantially from 2015, when 3568 cases were accepted. This is an increase of 53.8% over 2015. Of these, 1041 were bankruptcy reorganization cases, up 85.2% over 2015. As this blog has previously reported, long delays in filing bankruptcy cases have meant that practically all bankruptcy cases have been liquidation rather than reorganization cases. This is contrast to the downward trend in bankruptcy cases 2005-2014, shown in the graph published on this earlier blogpost. These numbers represent only a tiny proportion of what the Chinese government terms “zombie enterprises,” but it does show that the SPC has been doing its part to serve the nation’s major economic strategies. In February, 2017, the SPC issued guidance to the lower courts on transferring cases that are in debt enforcement proceedings into bankruptcy, so that bankruptcy reorganization has a chance of working. Justice Du had flagged the importance of this a year ago. The Zhejiang Higher People’s Court piloted measures because the courts of that province are piloting bankruptcy reforms. As reported in a December, 2016 blogpost, close to half (40-50%) of the unsatisfied enforcement cases are ones that are wholly unsatisfied, with a goodly portion involving corporate judgment debtors. Judge Du pointed out that unsatisfied judgments because of local protectionism have led to conflicts between creditors and “fierce” conflicts between courts. He called for courts not to engage in “buck passing” on enforcement cases that are transferred to another court for bankruptcy procedures. On 1 August 216, launched a bankruptcy electronic information platform (it harmonizes with President Zhou Qiang’s promotion of information technology in the Chinese courts). According to the SPC’s press release, close to 9000 cases are in the database. The platform has assembled relevant documents on some high profile cases, such as Dongbei Special Steel. This platform has received a good market response with 9,760,000 page views as of early February, 2017 (likely to be primarily bankruptcy professionals). In June, 2016, as this blog has reported earlier, the SPC has required lower courts to establish specialized bankruptcy divisions (4 on the provincial level, 47 intermediate courts, and 22 basic level courts). One of the aims of the SPC is to create a corps of more competent judges to handle bankruptcy cases. Given the link between the bankruptcy of large state owned enterprises and social stability highlighted by judges writing on this topic previously, serving as a bankruptcy judge in China requires a set of skills unneeded in other jurisdictions. As more and more companies go into bankruptcy, (as highlighted in this blogpost), more labor litigation can be expected. Senior SPC judges have highlighted that people are increasingly aware of their rights. Those with the means are going to court to try to protect them. The SPC is likely to work on technical issues highlighted in the report such as: how to characterize labor claims in bankruptcy, and whether they should be treated as labor disputes or claims against the bankruptcy estate; whether labor disputes needed to be submitted first to labor arbitration; how the courts can better obtain files from labor arbitration authorities and can ensure labor disputes are addressed and not avoided; and how to ensure that bankrupt enterprises pay social insurance payments for their employees. Expect to see the SPC focus on bankruptcies (or reorganization) in important areas of the Chinese economy, such as real estate. This analysis published by a member of the Shanghai Bar Association highlighted some of the complex interests relating to the bankruptcy reorganization of real estate companies : is it practicable; the workers; the lender, who are often private (shadow) lenders; the individual purchasers. These cases generally involve a string of companies. My apologies to blog followers for my absence. I will address Zhou Qiang’s comments on judicial independence in a later blogpost, for which I want to do some more detailed research than is possible at this time. This blogpost will look at a less contentious question–what does the profile of civil and commercial disputes in Zhejiang province mean for the Zhejiang/Chinese economy and the role of the courts (in civil/commercial disputes). Judge Zhang Hengzhu, head of the #2 civil division of the Zhejiang Higher People’s Court (High Court), spoke in early January at a conference organized by Tiantong & Partners, the boutique litigation law firm on civil and commercial disputes in his province. What is special about Zhejiang? The Zhejiang economy is dominated by small and medium enterprises (SMEs), many integrated with the global economy. These companies are private, family-owned companies. Judge Zhang noted that these companies tend to have irregular corporate governance, with vague lines between property ownership by the company founder, the company, and affiliates. Taking the lead to generate judicial guidance on private (shadow) lending. In 2009, the High Court was the first to issue provincial level guidance. which it updated in 2013. In 2013, it issued a concurrence (in the form of a meeting summary) with the provincial procuratorate and public security department on criminal law issues relating to collective fundraising. The High Court is working with the provincial financial institutions on the disposal of non-performing assets. In late 2016, establishing a joint mechanism with fourteen departments of the provincial government to advance the use of bankruptcy and related issues, such as re-employment of workers, use of land formerly used by bankrupt enterprises, generating bankruptcy-favorable tax policies (document on the mechanism found here). The Supreme People’s Court (SPC) recently issued a notice (notice concerning the plan for establishing liquidation and bankruptcy trial divisions in intermediate courts)(bankruptcy division notice) (关于在中级人民法院设立清算与破产审判庭的工作方案) aimed at establishing liquidation and bankruptcy trial divisions in China’s intermediate courts and increasing the number of judges and support staff focusing on liquidation (winding up companies not in bankruptcy) and bankruptcy-related issues, to implement the central leadership decision to use bankruptcy law to reduce the number of zombie enterprises. In the directly administered cities, at least one intermediate court should establish a bankruptcy division, intermediate courts in provincial capitals and cities of deputy provincial level also. At lower levels, it will depend on economic development, local need, and professional infrastructure, with provincial courts to make arrangements with staffing authorities. The following locations will take the lead in establishing bankruptcy divisions: Beijing, Shanghai, Tianjin, Chongqing; and the provincial capitals (and cities of deputy provincial level) of Jilin, Jiangsu, Zhejiang, Anhui, Shandong, Henan, Hubei, Hunan, Guangdong, and Sichuan. These arrangements are to be put in place by the end of July, with the other areas to follow by year end. This blog has reported on previous bankruptcy developments in Jiangsu, Zhejiang, Anhui, Shandong, and Guangdong. Try compulsory liquidation and bankruptcy cases, guide lower courts trying these types of cases; coordinate with other courts on these issues; manage and train bankruptcy administrators. Intermediate courts should be responsible for the compulsory liquidation and bankruptcy of companies registered at the business registration authorities (administration of industry and commerce) of its own level and below, with variations possible if the provincial high court approves. Staffing should be according to judicial reform principles and linked to the caseload–the judges should be those familiar with liquidation and bankruptcy from the same or lower courts and they should have a clerk and judicial assistance on a 1:1:1 principle. Improved measures are needed to supervise and evaluate liquidation and bankruptcy work; expedited liquidation and bankruptcy procedures need to be explored; promote reforms in trying liquidation and bankruptcy cases; put in place judicial responsibility (this relates to the judicial lifetime responsibility system announced in September, 2015) to ensure an honest judiciary. Liquidation and bankruptcy divisions should report regularly to the local Party committee/government to seek their support and major issues should be reported to the SPC. This is a positive step although it cannot deal with the underlying political issues related to implementing bankruptcy law in China, particularly local government interference in bankruptcy cases. Putting in place more qualified judges and support staff is a critical part of making bankruptcy law work. The political support of the local authorities remains critical and the local judiciary provides a training and liaison function. The bureaucratic level of a troubled company (state owned enterprise) affects the ability of a court to deal its issues. Academics reaching out beyond the universities and social media is playing a positive role in creating a corp of more competent bankruptcy specialists in the judiciary. The Bankruptcy Law and Restructuring Research Center of the China University of Political Science and Law, directed by Professor Li Shuguang has established a Wechat public account, which provides bankruptcy and liquidated news to the profession, including judges, as well chat groups in which Chinese bankruptcy professionals can share their experiences and tap into the experience and knowledge of others. As recent blogposts (and academic studies) have shown, Chinese bankruptcy courts have been acting as underused morgues rather than hospitals for ailing Chinese companies. The Supreme People’s Court (SPC) anticipates major changes, because (as highlighted on this blog) the government has decided that a stake needs to be driven through the heart of zombie companies. This blogpost will focus on the role that courts are to play in clearing up zombie enterprises. But because the role of the courts in bankruptcy is linked to other government policies, it will also flag some significant ones that have not yet come to the attention of observers outside of China. It appears that behind the scenes, officials have been working on putting together the policy machinery to do so and that the process is ongoing. In late February, the SPC convened a conference of bankruptcy judges and other officials on dealing with zombie enterprises in Hangzhou, Zhejiang Province, both to transmit the newest judicial policy on bankruptcy and to find out from local judges and other officials what the issues are. Judge Du Wanhua, a senior SPC judge, has been designated to take the lead on bankruptcy law reforms. 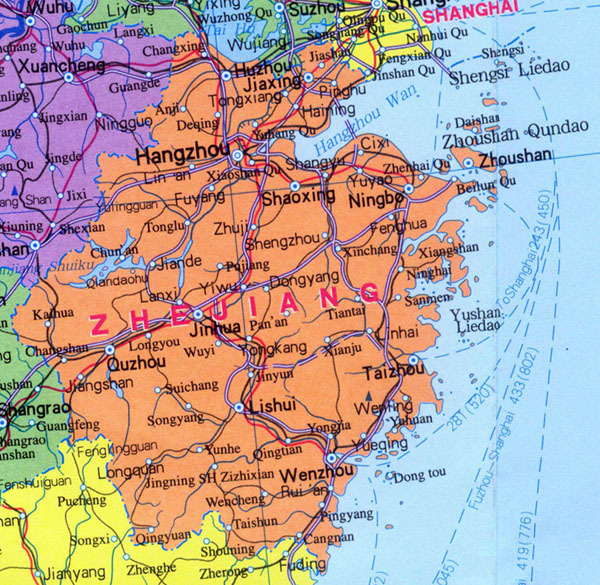 The location of the conference is intentional, because (as mentioned in an earlier blogpost), Zhejiang Province has been piloting new approaches to bankruptcy law. The Zhejiang Higher People’s Court has been working with government to promote bankruptcy related policies, but at the same time has emphasized that the courts need to hear cases independently. In 2015, the courts of that province accepted over 600 bankruptcy cases. According to Judge Du, the “courts are to become hospitals for sick companies.” Listed below is the approach that the SPC is intending for the lower courts to take (with some of my comments). The rights and interests of the state, workers, creditors, and investors should be protected (listed in this order). A unified coordination mechanism for bankrupt enterprises needs to be created under the local Party committee’s strong leadership and support of the relevant government departments to ensure cases are handled in an orderly manner. (However, in the fall of 2015, Ma Jian of the SPC’s research office pointed to local government interference in the acceptance, and trial of bankruptcy cases, as being an major issue. Orderly mechanisms should be established to deal with wages, state tax, and the priority and realization of secured claims, unsecured claims. Special funds should be established to pay for bankruptcies and bankruptcy administrators. Local governments, such as Guangdong, are starting to issue policy programs on “supply-side reforms.” The Guangdong program, issued on 28 February, contains a section on bankruptcy. The policies reiterate and further detail the principles Judge Du enounced (and merit further analysis). The Guangdong policies mention separate databases for bankrupt state-owned and non state owned enterprises, mentioning that special policies would be forthcoming for state owned enterprises and that courts would be given the “green light” to deal with the bankruptcy of zombie companies. Reflecting policies seen elsewhere, the Guangdong government is seeking to encourage private enterprises to assist in reorganizing state-owned zombie enterprises and is considering establishing special funds to assist companies to upgrade. The central government is also looking to simplify procedures by which companies with no debts can be closed. During 2015, the State Administration of Industry and Commerce announced that it was piloting reforms in a number of locations, first designating Shenzhen, the Pudong district of Shanghai, and several other locations, and subsequently expanded the locations. Training sessions on bankruptcy law, either within the courts or with related government agencies and institutions. 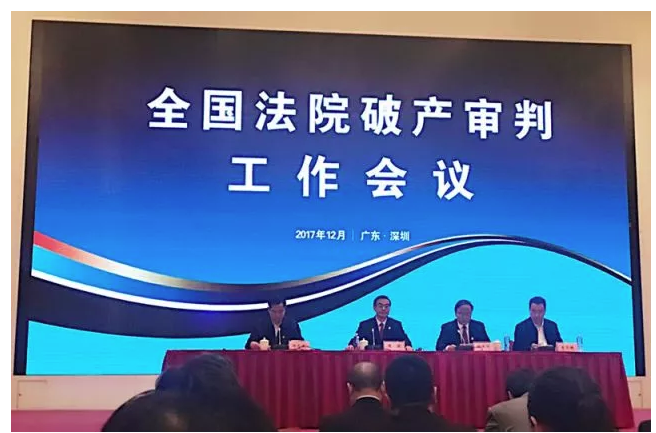 In late February, the Changsha (Hunan) Intermediate People’s Court held a training session with experts from the SPC (First Circuit Court) and professors of bankruptcy law from Beijing, while the local government in Quanzhou organized cross-institutional training. Local courts (such as this one in Quzhou, Zhejiang Province) are providing reports to local government/Party Committees on what the courts can do. But what are bankruptcy judges really doing? If a recent message on Wechat is any indication, they are reaching out to their fellow judges for guidance and creating a chat group on how to deal with the many legal and social complexities that bankruptcy cases pose. 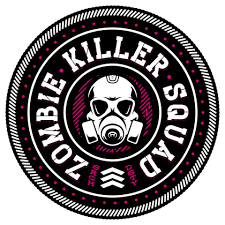 Can bankruptcy court “doctors” save zombie enterprises and their millions of employees? It is very early days. What can safely be said is that bankruptcy and zombie enterprise related policies merit close monitoring by lawyers, the business community and others.